Tech Sergeant Alex Conrad had come home for Christmas, but he hadn't expected it to be literally the home he would soon no longer share with his wife. He had actually been surprised to see her waiting for him when he arrived from his deployment. But he shouldn't have been. She had always tried to be the perfect wife. He loved her so much, and would do anything for her. Which was why he was granting her request for a divorce. Shelby Conrad didn't want a divorce, but she had asked for one in desperation. When Alex wasn't emotionally pulled away, he was signing up for another deployment where he would physically be pulled away. She was certain that if they could only talk through their issues, they could work everything out. Love was never an issue, nor was passion. Shelby desperately made one last effort to salvage their marriage. They would go on a road trip, and her goal was for them to talk, and resolve their issues. Another goal of their trip was to take three foster dogs to their new forever homes. Hopefully all their Christmas dreams could come true. Home For Christmas is a touching romance of reconciliation. Sometimes love isn't enough, not if the two aren't willing to fight for their marriage. Luckily, Shelby is willing to fight, and Alex simply is a warrior. They both needed to acknowledge past mistakes and I simply loved them battle back to each other. 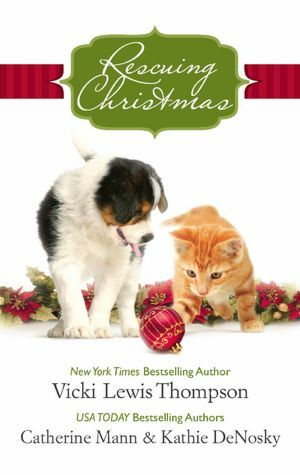 Add in three dogs who are each trying to find their own forever home and this is a perfect Christmas romance. FTC Disclaimer: I did receive a copy of the book directly from the author. However, this website only posts "good" reviews. If I cannot post a positive review, I notify whoever has provided me with the book/ARC/ebook.